how to manage their children back to school. Ten 475+ word articles are included in this bundle with a tweet for each one. 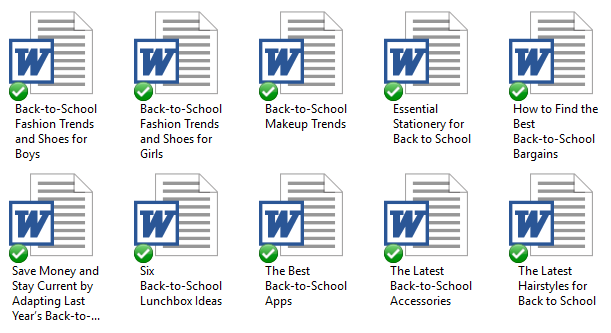 In this pack you’ll get articles on getting back into the groove of back to school, how to save money, lunchbox ideas and other hot topics. These articles are provided in Text and Word format. 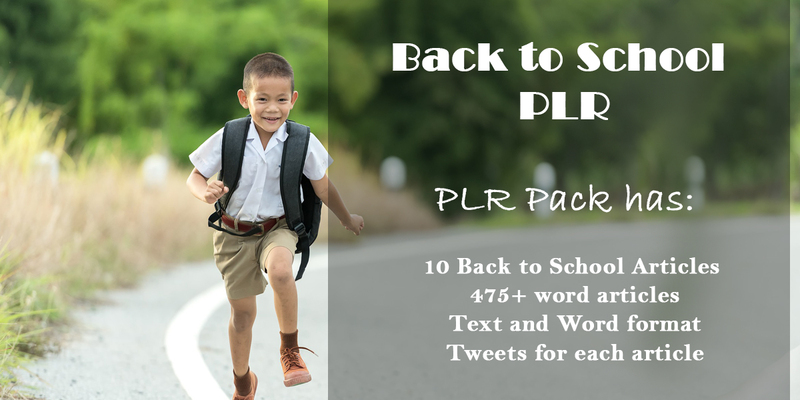 This PLR bundle also provides Tweets for each of the articles.